60 Days to Fit is an all-inclusive program covering everything from training splits and a nutrition guide, to your grocery list, and progress boosting tips. Over a period of 60 days, you will build muscle and strength. James Grage, the co-founder and Vice President of BPI Sports, has 24 years of experience in the gym, 15 years working in the supplement industry, and has won multiple, nationally-recognized bodybuilding competitions. However, none of it came easy. In an unfortunate turn of events, a life-threatening car accident changed his life forever. James used the gym as his rehab to put his body back together and the road to revival only fueled the fire. 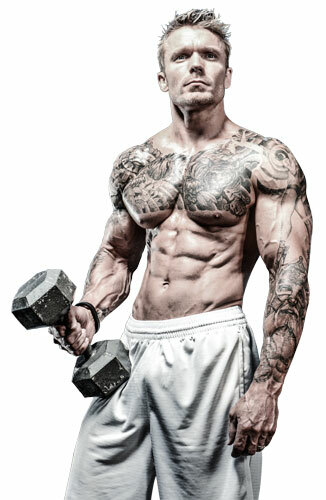 His path then led him to a career with Weider Publications until 2009, when he co-founded BPI Sports. Soon after came the birth of BPI’s sister brands: IMAGE Sports, Pro-Nutra, and Cutler Nutrition. Now, as one of the most distinguished individuals in the fitness industry, recognized for his extensive knowledge and powerhouse physique, James hopes to convey his passion for helping others achieve their fitness goals through the quality supplements BPI Sports produces. 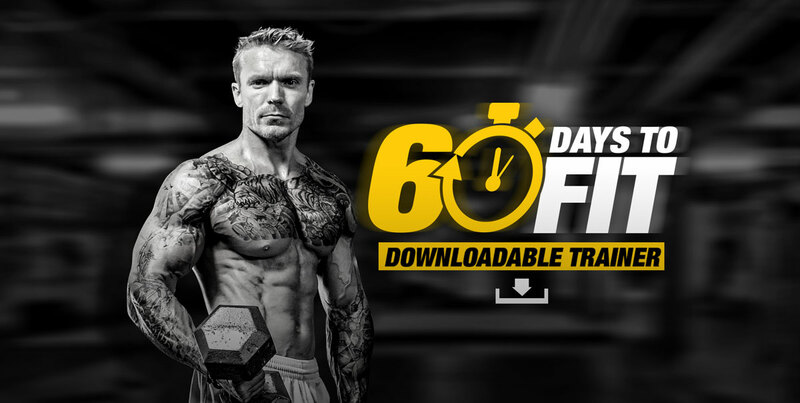 60 Days to Fit is a program designed to help you build muscle and gain strength through a complete, five-cycle training curriculum, nutrition plan, and bonus tips to help boost your progress. Each 12-day cycle consists of eight workouts and four rest days. Within each cycle, you will have one light workout and one heavy workout for each body part, totaling two workouts per body part, per cycle. Results not only come from a consistent training regimen, but also a consistently balanced diet. In 60 Days to Fit, there’s no counting calories or quick fixes. You are getting a solid, manageable plan rich in the macronutrients (proteins, fats, and carbohydrates) that your body needs to maximize muscle gains and minimize fat storage.